1st Look has had a great year! From "New York nightlife" to "gifts that give back," each show was carefully designed to bring you the best of it all. So grab a cocktail and let’s celebrate a year with 1st Look. As we get ready to welcome 2012, we’re bringing you some of our favorite, most exciting (and definitely worth re-watching!) segments of 2011. NYC is not short of the most exclusive parties and the hottest hangouts. We invited you guys into PH-D in the Dream Downtown. Uber-exclusive and super trendy, we only invite our favorite people—you!—to our parties! Watch video above. Can you keep a secret? So, just between you and I, discover a Chinese restaurant that turns into a password-protected club. This late-night favorite is all about letting your own style glow. Watch video here. Sunday isn’t just a church day… at least in D.C. It is also the only day of the week when you can have the Luther, a cheeseburger between two donuts. Yep, you read that correctly. The Luther is not on the menu and it’s believed to have been created by music star Luther Vandross. Watch video here. This penthouse rooftop and lounge is quite the dream, where velvet ropes, perfected mixology, high style and dancing come together precisely. Maria Sansone takes in the stunning views, and a drink or two, at PH-D at the Dream Downtown. And in terms of NYC nightlife, it's just was the doctor ordered. 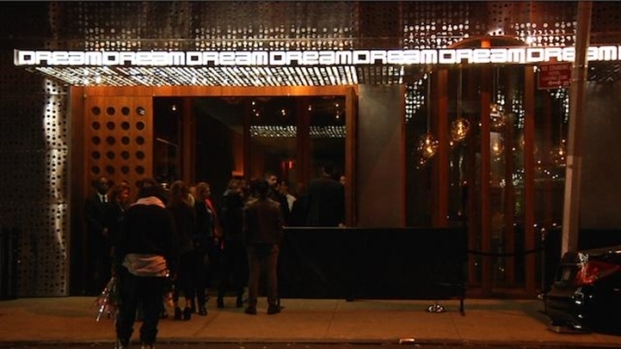 Dream Downtown Hotel 355 W 16th St, New York, NY, 10011 / 212-229-2559. Meet Rob Machado, the world known surfer from Cardiff-by-the-Sea, in Encinitas. After winning many international surf competitions, Machado retired from professional surfing, but didn’t stop helping the community. He created the Rob Machado Foundation, which helps young surfers. Watch video here. Located on St. Marks St. in New York City, we found the best “spot” for all-natural unique desserts. Spot Dessert Bar has original desserts with an Asian touch. Who knew “fusion cuisine” could also mean “desserts?" Watch video here. I’m sure you’ve seen it on a movie. Now, it’s your chance to take a second look at the famous and legendary landmark hotel in Miami Beach. Fontainebleau has it all: clubs, swimming pools, beach… and parties, of course. Watch video here. Let your queer voice sing. At the Palace Bar in Miami, you can enjoy a tasty brunch and delicious mimosas while being entertained by extravagant drag queens. The Palace is known as the first LGBT restaurant in the city. Watch video here. What about having international cuisine with lots of “soul food loving?” That’s what Red Rooster’s chef Marcus Samuelsson offers at Harlem’s Red Rooster. The diverse cuisine has been a success attracting people from all over the world to uptown Manhattan. Feel the love one more time. Watch video here. Just when you thought you’ve seen it all… we bring you underwater hockey. Yes… underwater. This new way of playing hockey requires lots of energy, motivation and a lot of breath. Watch Maria Sansone making us laugh one more time, as she plays the breathtaking underwater sport. Watch video here. It looks like a dream come true. Great prescription glasses at an affordable price. And, the best part? Warby Parker helps someone in need with glasses, vision care or services to someone in need with each purchase you make. Watch video here. For all 1st Look segments, click here.